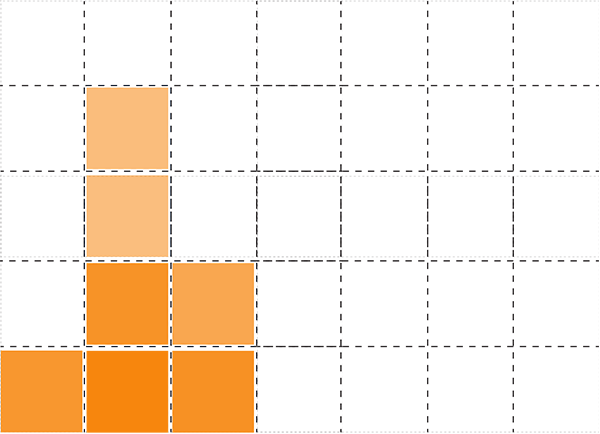 The Sensing Wall project investigates sensing building skins for real-time performance monitoring. Specifically, it looks into thermal and moisture real-time monitoring with distributed sensing. For an in-depth discussion on this research project, see Embedded Building Components: Prototyping with Emerging Technologies, a paper published/presented at the eCAADe 2017 Conference. It can be accessed via CuminCAD and the ResearchGate portal. This work was developed as part of a research thesis project. The first prototype focused on thermal sensing using an array of thermistors on a 10 cm by 10 cm (approx. 4 inch by 4 inch) grid. The prototype discussed in this paper provided a real-time refresh rate with all 16 sensor readings performed within approximately 2 seconds, which included 10 samplings for each sensor every 10 milliseconds, averaging them and the executing HTTP connection to the server with MySQL database submission. Database data was displayed real-time via web interface (below). The multiplexing was achieved with a single 74HC4051 8-channel chip. 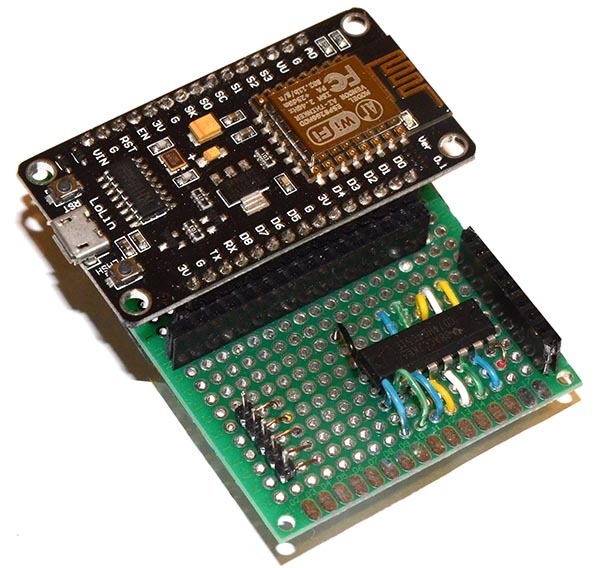 While the prototype panel deployed only 16 thermistors (sensors), the ESP8266 and 74HC4051 setup could be scaled up to 40 with full use of digital pins and up to 32 (one digital pin less) in cases when the chip hibernation would be desirable. These values could be scaled significantly using a 16-channel multiplexer and a demultiplexer. However, the intention of this approach is to provide embedded and highly localized solutions that would serve relatively few sensors and actuators but at the same time would be deployed in large numbers. In this scenario, each piece of gypsum wallboard or plywood sheathing could be embedded with multiple separate logical units. 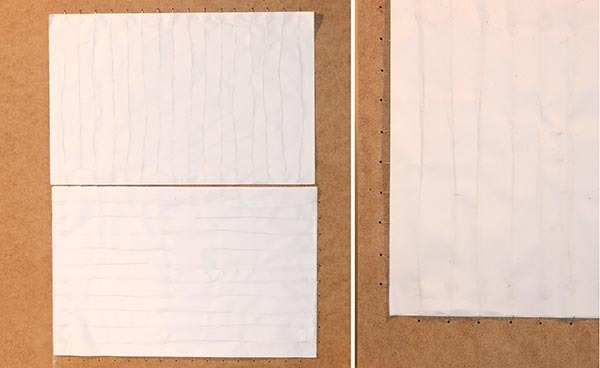 The second prototype (Sensing Wall 2) provided opportunities for doubling the functionality of the sensing membrane beyond temperature monitoring and led to the development of the third prototype: Sensing Wall 3. Sensing Wall 3 (below) departed from the approach used in the previous two prototypes, measuring thermal conductivity, and focused on measuring moisture penetration of the membrane itself–a common concern for outside building envelopes. 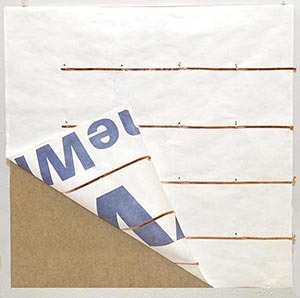 The conductive leads, similar to the copper stripes used in the second prototype, were used in combination with various building papers to measure the electrical conductivity of moist building paper. This approach was based on the fact that the amount of moisture in building paper or felt-like substrates impacts their electrical conductivity, which can be measured with microcontrollers such as ESP8266. By developing initially embedded conductive threads and measuring conductivity between them, a coordinate system could be implemented to track moisture and water penetration within a wall. 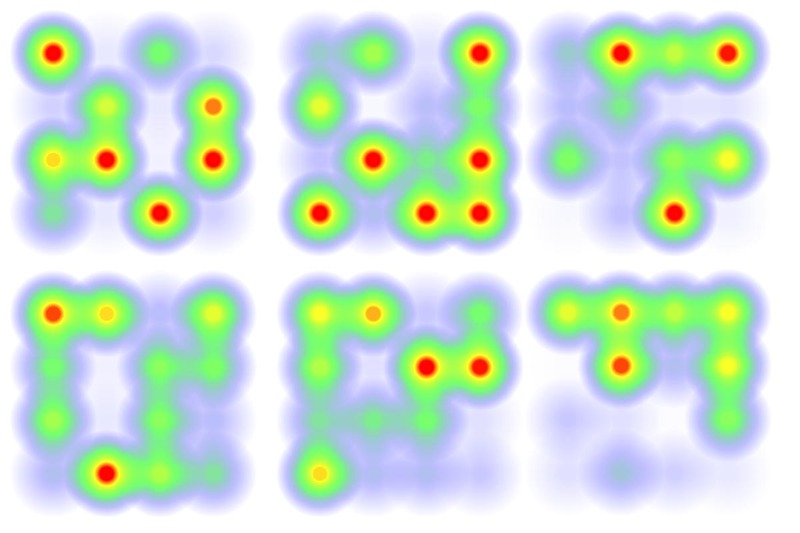 Two approaches were tested: one- and two-dimensional grids with leads going in one or two directions (left). Since the water tends to travel vertically within the building envelope, driven by gravity, systems using single-direction conductive threads could be implemented in a vertical direction. 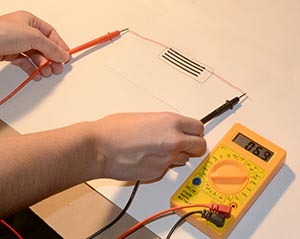 with conductive graphite polylactic acid/polylactide (PLA) filament originally seemed a natural extension of fabrication technologies that could help to accommodate other electronic parts (serve as joinery), eliminate resistors, and provide electrically conductive wiring. Since PLA is bioactive thermoplastic aliphatic polyester derived from renewable resources, such as cornstarch, it provides opportunities for the use in building assemblies of carbon-neutral and recycled materials, lowering the energy footprint and extending the life cycle. It is also semiflexible, which makes it a good candidate for building surface applications. Note: Additional information about embedded electronic framework used for this project can be found on this page.